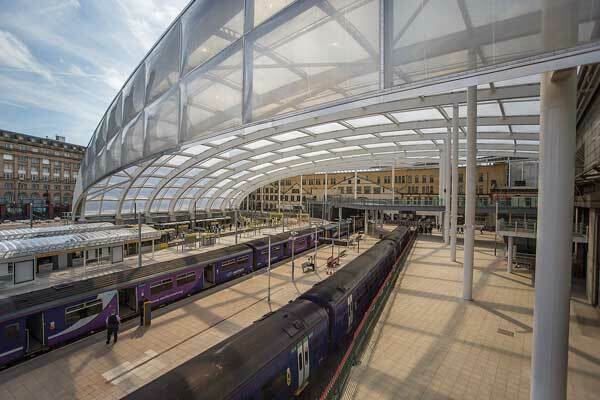 "The design of the new station roof was always the focal point of the redevelopment of Manchester Victoria. To reverse the negative opinions of the original station we wanted to create a space which was naturally lit and ventilated. "A steel and ETFE roof was quickly identified as being the best solution for enclosing the space, creating a covered public space in the heart of the city. The ETFE, with its low weight and long spans, helped reduce the quantity and weight of steelwork in the roof,” says BDP Project Architect Peter Jenkins.